Today's Web is an amazing resource. You can find information on just about every topic under the sun, and then some. Search engines can get you in the raw milk ballpark, but sorting the wheat from the chaff takes some time. To save you a few minutes, I've listed a handful of what I personally believe are some of the best informational sites out there for diet, health and facts in general. I'll add more as I discover them. You could spend days perusing these links and their links and still not run out of things to click. Good luck and happy surfing! Oh, and don't forget to come back! The good folks at the Cornucopia Institute have put together an Organic Dairy Report and Scorecard. Find out if your local producers make the grade. Here are links to recent lectures in a Seminar Series on Raw Milk hosted by the Rutgers University Agriculture Experiment Station, courtesy of the Rodale Institute- I'm not sure if Part IV exists. Let me know if you find it! If you're into dairy antiques like butter churns and milk bottles, you must check out this fascinating site. 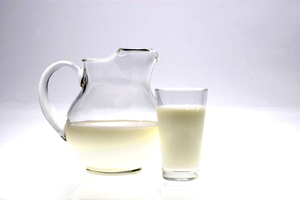 Read testimonials from real people who have improved their health with raw dairy products. Looking for a t-shirt to shout out your love for raw milk? Here are a few sites to peruse.